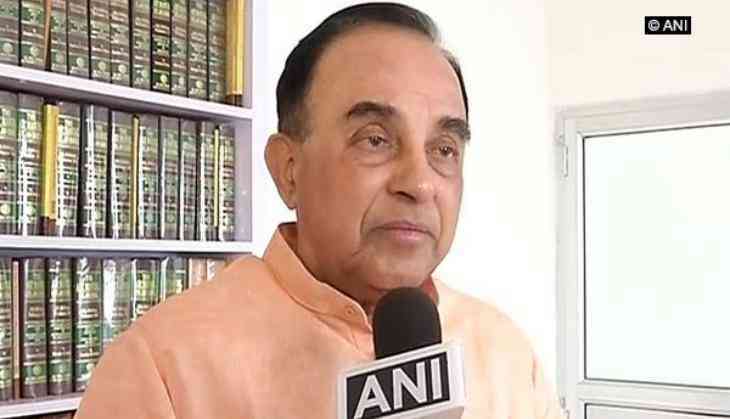 Dubbing 'Love Jihad' as a dimension of terrorism, Bharatiya Janata Party (BJP) Rajya Sabha member Subramanian Swamy on Thursday asserted that the National Investigation Agency (NIA) is the appropriate agency for the investigation as in the latest case the girl was allegedly being sent to the ISIS. Speaking to ANI here, Swamy said, "The Love Jihad is a dimension of terrorism; they are going to be recruited for terrorist activities. These Love Jihadis are preying on young girls. They are compromising them, taking photographs of them, blacking them and then making them convert to Islam. In the latest case, the girl was being sent to the ISIS. So, therefore the NIA is the appropriate agency for the investigation into this." Swamy further stated that this Love Jihad is an induced conversion against the Constitution of India. On Wednesday, the Supreme Court had ordered the NIA to investigate the Kerala Love Jihad case, besides asking retired Apex Court judge Justice R.V. Raveendran to monitor the matter. The case pertains to the annullment of the marriage of a Hindu woman to a Muslim man, post her conversion, by the Kerala High Court as it amounted to ' Love Jihad'. The SC said that after getting inputs from the NIA and Kerala police probe, it would interview Akhila to ascertain her views.